New book about my love for graffiti coming out May 11th. 2019. In Brask Studio Visits IV Jens-Peter Brask visits 36 artist. Some of them are Chris Martin, Judith Bernstein and David Shrigley. The book documents extreme diversity in the art world - we get to visit art students and world famous artists..
Jens-Peter Brask invites us into 34 new studio visits In Brask Studio Visits lIl. 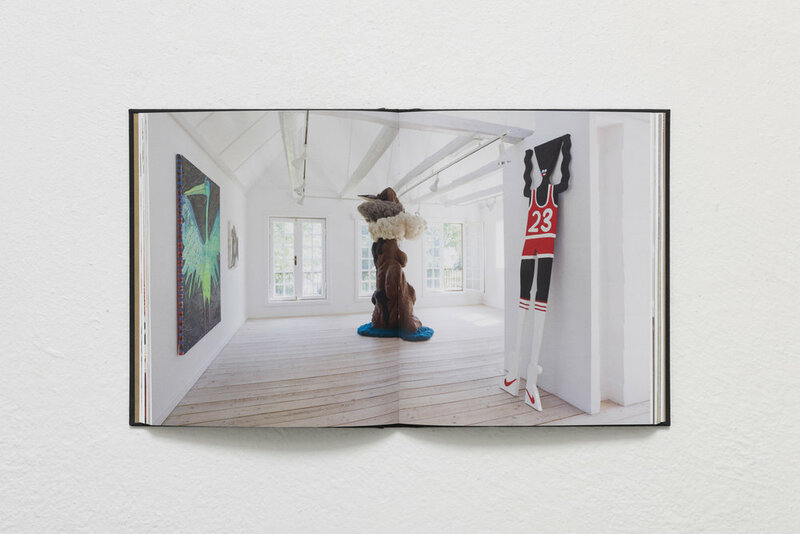 The book features among others Daze, Todd James, Baron André, Rose Eken, Gun Gordillo, Reginald Sylvester II, Rashid Johnson and Lars Christensen. The Brask Collection Meets Willumsen is the associated catalog for the exhibition at The Willumsens Museum. The book shows a wide section of Jens-Peter Brask's art collection and how it is curated along side J.F. Willumsens amazing work. In Brask Studio Visits ll, I - Jens -Peter Brask - visit 38 international artists in their studios. The book features among others Alexander Tovborg, Chapman Borthers, Chris Johanson, Dr. Lakra and James Turrell. Dan Schein is an american artist who paints oil on canvas, and often without a sketch, thus, the emergence of the motifs through the painterly action, is revealed in the powerful strokes. ZUSA is the Danish street artist Anders Thordal, and the book is a collection of ZUSA's absolute best works. Even though Anders Thordal suffers from Sclerose and is bound to his wheelchair, he has been setting new standards for the Copenhagen street art scene. The book about ZUSA is told and photographed by Tao Nørager during the last 5 years. It shows us historical ZUSA locations in a city undergoing rapid change. Step inside the Studios of 40 International Artists with this Book. Profiling the likes of Wes Lang, Eddie Martinez, Kenny Scharf, Julian Schnabel, Tal R and Clare Woods, the 40 studio visits take us into the unique world of each artist. Copenhagen Blackbooks is a unique compilation of 32 Danish writers’ blackbooks. All writers have contributed with tales and stories, giving the reader an unprecedented and truly rare insight into the secret pages of a vandal. The Brask Collection at Munkeruphus, which is the associated catalog for the exhibition ET BRASK SPARK, shows a wide section of Jens-Peter Brask's art collection. The book Dmote, I’m Over Here gives us a glimpse of Dmote’s travels, friendships, style and it shows a momentary escape from his daily life. Exhibition catalogue from Dansk Graffiti 1984-2013, shows works by more than 100 graffiti artists in a timespan of 30 years of Danish graffiti. This is a historical documentation that has a given place in the shelves of both graffiti lovers and collectors.